We ,Soyo Systems ,are MNRE Channel partners and Sytem integrators for Solar ON GRID and OFF GRID Systems. We can provide the Subsidies for Domestic users. It is very useful for House ,Hospitals ,showrooms ,Industries ,Colleges ,Schools etc. 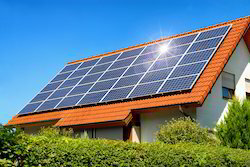 Looking for On Grid Solar Rooftop Systems ?